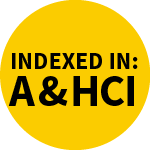 High visibility: indexed by the Arts & Humanities Citation Index (Web of Science) and other databases. Rapid publication: manuscripts are peer-reviewed and a first decision provided to authors approximately 17.7 days after submission; acceptance to publication is undertaken in 6.1 days (median values for papers published in this journal in the second half of 2018). It is common knowledge that the process of defining and protecting certain religious elements as invaluable heritage assets, is—more often than not—a complex one. In fact, it is exactly this, rather intricate, process that lends religious cultural heritage its powerful legal dimension, since [...] Read more. This paper introduces Tibetan pill traditions and examines two exceptional pill formulas that emerged from an early Buddhist–medical interface in Tibet, but followed different trajectories due to the increased specialization of religious and medical knowledge. “Black pills” are the most revered consecrated healing [...] Read more. The paper explores similarities in patterns of abuse and in patterns of how the known abuse cases are handled by the Catholic church and the U.S. military and develops preliminary explanations of why. The paper considers how the two organizations deal with external [...] Read more. This paper traces Adriaan Koerbagh’s interpretation of biblical devils and scriptural instances of demonic possession in his 1668 Een Ligt Schijnende in Duystere Plaatsen (A light shining in dark places). Koerbagh’s book is a radical exponent of the early Dutch Enlightenment, [...] Read more. In contemporary Japan, a Buddhist discourse has emerged that links life and food and centers on gratitude. While the connection between animals and gratitude has a long history in Buddhism, here the meaning of repaying a debt of gratitude has shifted from an [...] Read more. This paper begins by examining so-called “spirituality movements and/or culture” in Japanese society today. It then focuses on research into spirituality as it relates to Japanese education, and specifically moral education, where, for example, our connectedness to the sublime and lofty is one [...] Read more. This paper aims to emphasize the influence that “Classic” Islamic Thought had on the contemporary European-Islamic one regarding the conceptualization and action of emigration (hijra-hajara) through the geographical and juridical redefinition of the Old Continent as a new “house” [...] Read more. In the context of our work, we want to point out how religion has multiple social functions and as such, under certain circumstances, can serve as a fertile soil for distance and closeness. The aim of this study was to explore the impact [...] Read more. For nearly six decades, Gerhard Richter has challenged the conceptual and visual limits of contemporary painting. His 2011 work Strip overloads the viewer’s visual perception. Richter created this unique digital print using a process that deliberately employs chance to circumvent the artist’s authorship. [...] Read more. This article discusses the construction of the measuring instrument for the study of social perception of religious freedom (SPRF). We provide an overview of existing definitions of religious freedom from a social-science perspective, which ground the empirical research of religious freedom and describe [...] Read more. In recent decades the relationship between tantric traditions of Buddhism and Śaivism has been the subject of sustained scholarly enquiry. This article looks at a specific aspect of this relationship, that between Buddhist and Śaiva traditions of practitioners of physical yoga, which came [...] Read more. ‘Essence-function’ (ti-yong 體用), also called ‘substance-function,’ has been a constant topic of debate in monastic and academic communities in China. One group of scholars insists that the concept is derived from the Confucian tradition, while the other maintains that it originates with [...] Read more. Mixed families have historically been considered to be a direct consequence of a process of social and cultural integration of migrants within the host society, although this link has recently been problematized by scholars. By focusing on the case study of an association [...] Read more. The ability to participate in everyday activities that hold meaning and value is a determinant of health and wellbeing. Occupational therapists work with people when health and social barriers limit this valued participation. However a challenge persists in including religious practice or ‘doing’ [...] Read more. Jack Kerouac’s study of Buddhism started in earnest in 1953 and is traditionally believed to have ended in 1958. This paper considers the relationship between Kerouac’s Buddhist practice and his multi-layered nostalgia. Based on a close reading of his unpublished diaries from the [...] Read more. Religion often is conceived as the sine qua non of the human, thus imbedding religious activity implicitly even within our cosmopolitical globalization processes and secular political concepts. This depiction of the human as ever-religious raises a host of concerns: Does it justify that [...] Read more.